In hockey, the anthem singer is a big part of the pregame. So when Johnson does NOT perform at T-Mobile Arena, you can feel a letdown from the Golden Knights fans. He is the people’s choice, plain and simple. Most of you know the story. He was one of 600 who sent in an audition tape and worked his way toward getting a shot. He was not the Golden Knights’ first choice. His Knights jersey has the name “GOLDENPIPES” on the back and the No. 1. The Knights gave him a scarf to give him a little more of an identity, not to keep his vocal chords warm. He started adding pins for every performance (He’s up to 16 pins for this season). And when he forgot his scarf in the dressing room a couple of weeks ago, people freaked out. When he steps onto the ice to perform and PA announcer Bruce Cusick announces him, the place goes nuts. And it just feels right. And Normal. So why does Johnson sing the anthem the way he does? And for him, an African-American, to be received by a predominantly White audience means so much to him. The reality is this isn’t about color. It’s about a magnificent voice. If he was White, Asian or Latino, who would really give a damn? 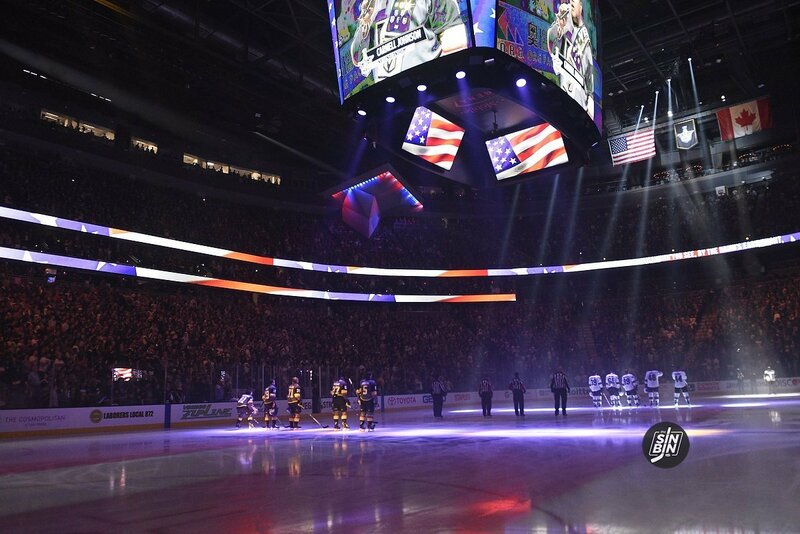 The next time he sings at a Golden Knights game, close your eyes, listen to the love and respect he gives the song. He is not letting the attention go to his head. He sits in Section 1 at T-Mobile (the Knights give him seats). He’s always polite to the fans and is building up a following on social media (His Twitter handle is @goldenpipesLV). His gondolier duties at The Venetian are more on an on-call basis these days. He hasn’t worked there since October. But Johnson’s big goal is to perform on Broadway. It’s his dream job. But he also would love to do commercials, voice-overs for TV and other opportunities to use that magnificent voice. 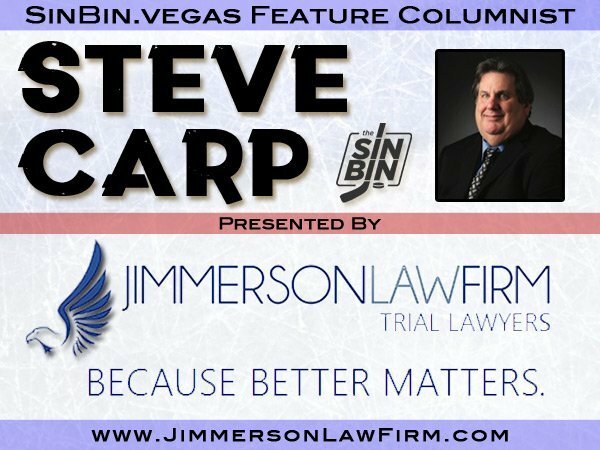 For now, that voice is shared with the hockey fans of Las Vegas. The Golden Knights have made a lot of smart decisions, both on and off the ice. The decision to have Carnell Johnson as the team’s primary anthem singer may have been among its smartest. That’s one they definitely got right. My third author signing for my book — “Vegas Born” will be this Saturday from 3-7 p.m. at Sunset Station’s Club Madrid at the VGK Watch Party for the Knights-Florida game. Admission is free and we hope to have a great turnout. One important note — sales for the book, which is $28.95, will be CASH ONLY. Unfortunately, I’m not set up to accept credit cards. My thanks to everyone who has attended the first two book signings. If you live in the Henderson area, this is your chance to get the book signed close to home. If you can’t make it to Saturday’s event, we will have one final author signing — March 18 from 6:30-9 p.m. at the Red Rock Resort Race & Sports Book. More on that as we get closer. Hope to see a lot of SinBinners Saturday at Sunset Station!